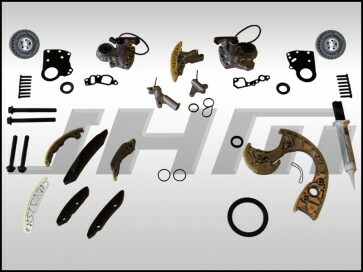 Introducing the JHMotorsports Timing Chain Rebuild Kit for your B6-B7 S4 4.2L V8!!! 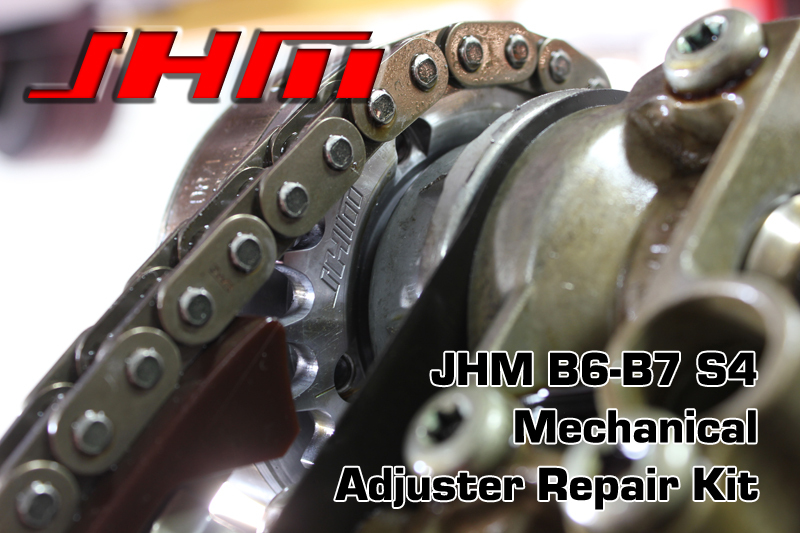 This kit features our brand new, JHM exclusive, Mechanical Adjuster Repair Kit. 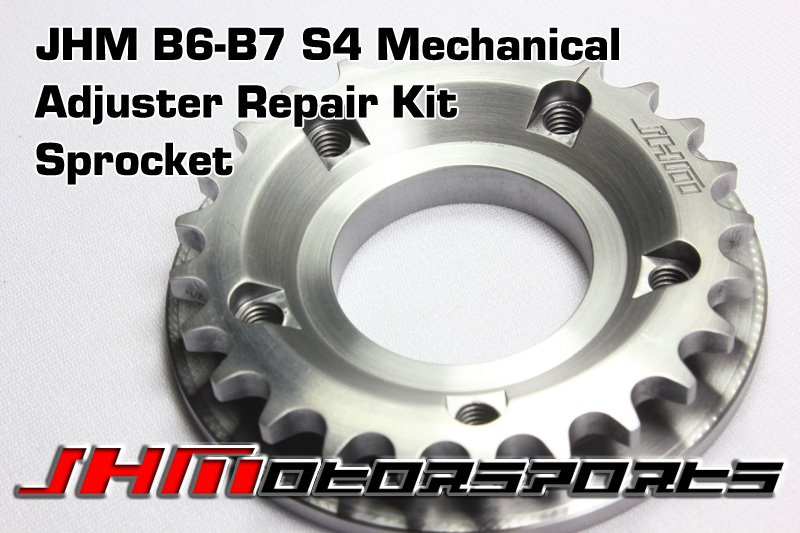 This exclusive repair kit is another cost effective repair solution for your B6-B7 S4 brought to you by the V8 specialists at JHMotorsports! 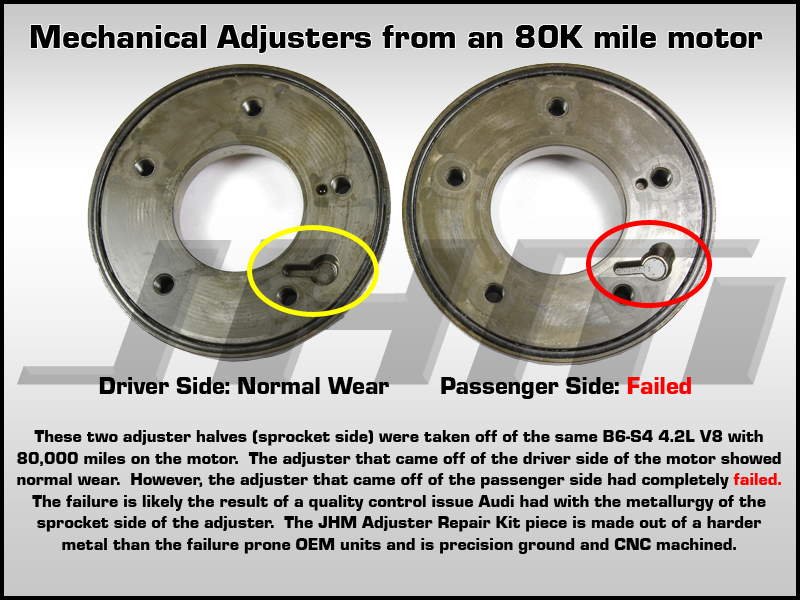 Not only will our repair kit fix your bad mechanical adjuster, it costs half the price of the brand new, OEM mechanical adjuster!!! (As of 5-15-2014, retail pricing was $745.50 per adjuster unit). 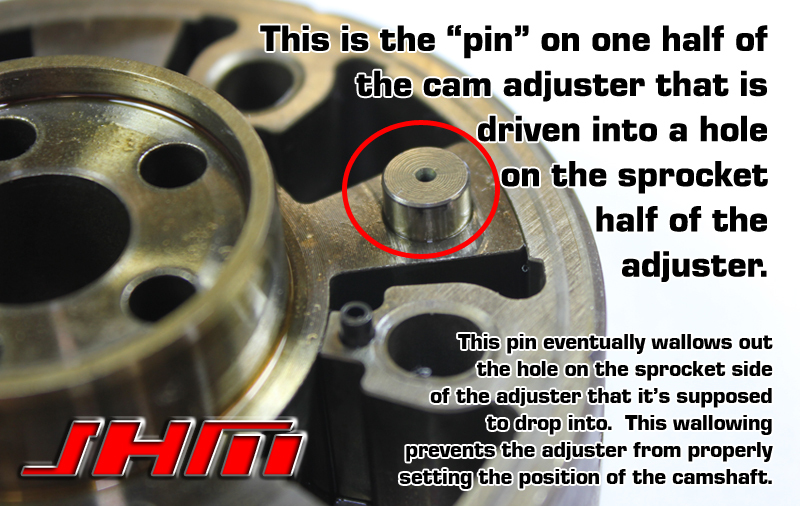 If that wasn't enough, our part is better than OEM and will prevent future premature wear issues. These kits include everything needed to perform the recommended service and features all Original Equipment parts, updated parts that were revised by Audi, and most importantly, the newly released JHM Mechanical Camshaft Adjuster Repair Kit! This kit includes EVERYTHING you will need to complete your Timing Chain service. In addition to all of the o-rings, seals, and stretch bolts needed, you will also receive each of the 4 different chains that are required, 2x UPDATED Electrical Cam Adjuster Assemblies, 2x JHM Mechanical Camshaft Adjuster Repair Kits, all of the chain guides and tensioners required including an updated version of the guide that fails most often featuring additional reinforcements. This kit includes everything featured in the FULL PLUS Kit except for the Timing Chains: all o-rings, seals, and stretch bolts needed, 2x UPDATED Electrical Cam Adjuster Assemblies, 2x JHM Mechanical Camshaft Adjuster Repair Kits, all of the chain guides and tensioners required including an updated version of the guide that fails most often featuring additional reinforcements. This kit includes everything featured in the FULL PLUS kit except for the 2x UPDATED Electrical Cam Adjuster Assemblies and associated seals and bolts: all o-rings, seals, and stretch bolts needed, each of the 4 different chains that are required, 2x JHM Mechanical Camshaft Adjuster Repair Kits, all of the chain guides and tensioners required including an updated version of the guide that fails most often featuring additional reinforcements. This kit includes everything featured in the INTERMEDIATE PLUS Kit except for the Timing Chains: all o-rings, seals, and stretch bolts needed, 2x JHM Mechanical Camshaft Adjuster Repair Kits, all of the chain guides and tensioners required including an updated version of the guide that fails most often featuring additional reinforcements.